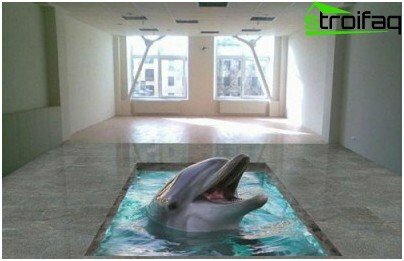 When will the replacement of floors, and to determine thechoice of technology does not work (the laminate has been, for a long time to lay parquet, tiles cold, and so on to infinity), pay attention to flood floors 3D. 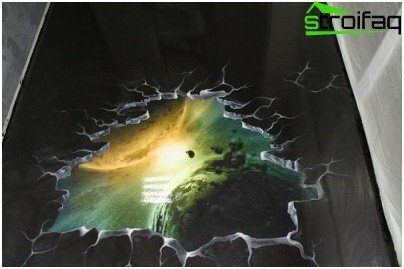 Among other advantages (high performance) stands out the possibility of realization of any design plan, particularly impressive Self-leveling floors 3D - interior photos have finished striking effect created three-dimensional image on a plane. 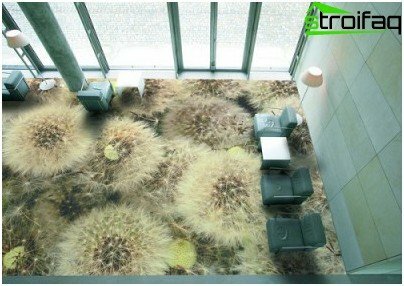 Popular novelty can be a worthy substitutethis practical and beautiful floor coverings like laminate or linoleum. 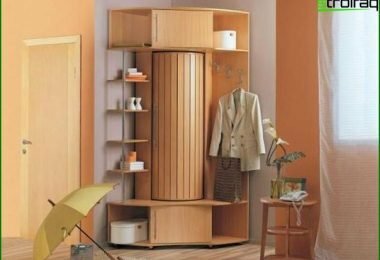 The floors are made with the use of transparent polymer materials, characterized by high wear resistance, durability, resistance to moisture, the development of various fungi and mold. 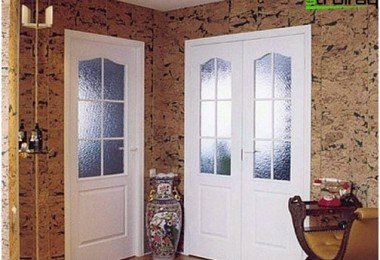 Smooth transparent coating is very hard and tough, is particularly interesting in terms of the implementation of various design decisions. self-leveling floor manufacturing technology allowsa virtually unique flooring: on the prepared surface laid out various objects (stones, leaves, beads), and poured on top of a clear solution with a hardener. 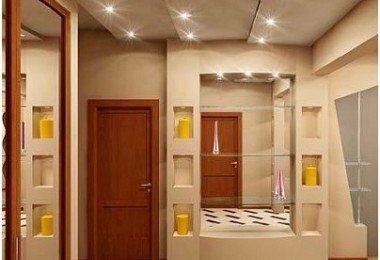 As you can see, the manufacturing technology of new-fangled 3Dfloor is quite simple, but it certainly requires accuracy and certain skills in the work. The required effect is achieved through a transparent coating composition specially prepared printed image. The inlet floor may be of any shade, cancontain any image including a 3D-effect. This floor is easy to clean, it is seamless, from the point of view of hygiene is an indisputable advantage - there is no place to accumulate dirt. Gender is resistant to abrasion and aesthetic. Along with the increased strength, self-leveling coating has a low electrical conductivity. monolithic floor (contains no seams). High cost - the main drawback. 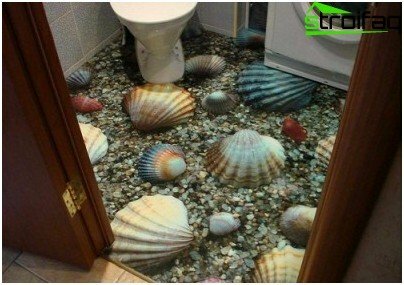 Flooded floors 3D will cost 4 times more expensive than laminate flooring. To a large extent depends on the cost of expensive printed image (the image is put on a special cloth, be sure to print quality). The essence of the 3D image technology is that, when viewed from a certain point to create the illusion of depth to the image plane. 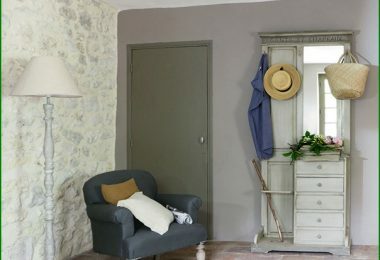 However, a large space is needed for the desired effect. 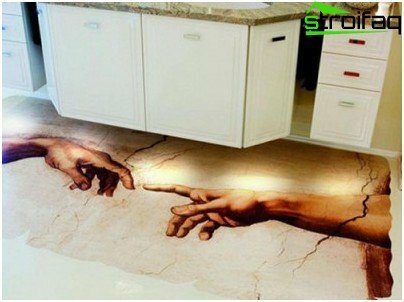 Self-leveling floors can effectively simulatevarious surfaces that is achieved by using a two-dimensional graphic prints with high-precision print image. Transparent polymer layer additionally creates the illusion of volume figure. 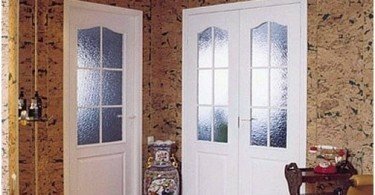 Depending on the thickness of the transparent thin-film layer are distinguished and highly filled flood floors. The latter can be used in commercial locations because of the increased strength and resistance to abrasion. Ideal flat plane - the main condition for the coating uniformity. an abundance of bright contrasting details in the design of the floor is able to visually reduce the room, if it is desirable to increase the visual space - Avoid bright colors. 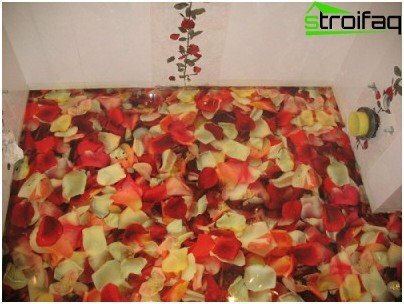 It is widely believed that the flood3d floor is better to use only in the bathroom. 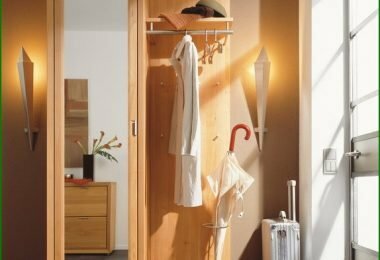 Indeed, perfectly smooth coating is resistant to moisture, is durable, resistant to chemical stress, which makes possible its use in the regeneration of floors in the bathroom, but confined to the bathroom is not worth it. In fact, the scope of application is much broader -Flooded floors 3d effectively complement the interior of the cafe or the trading hall of a large supermarket (the service life of the floor is 30-40 years). The use of polymeric floor coverings for flooring in living quarters can only be welcomed, because in the installation environmentally friendly materials are used, the covering is hygienic, it can be used for the "warm floor" system. It is possible to produce a smooth, moderately rough or rough coating.